And just yesterday, I was reading the acknowledgements in my new Orthodox Study Bible http://orthodoxstudybible.com/ and there was his name: Newman Nahas. I wonder if he keeps up with his best buddy. This is the beginning of an article by Matushka Wendy Cwiklinski, which can be found in its entirity in the Orthodox websites section. 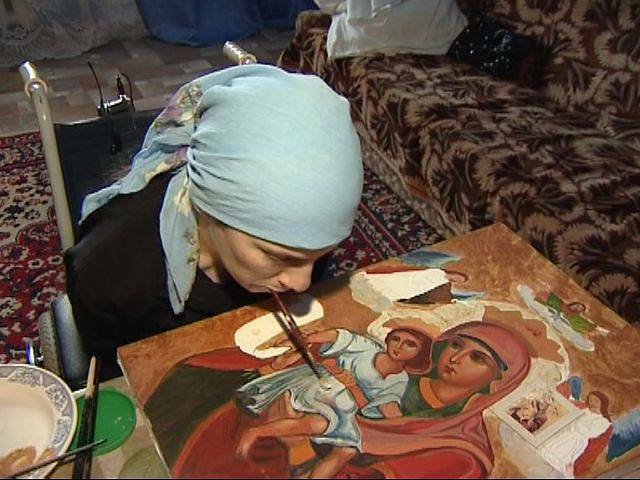 http://oca.org/resource-handbook/familylife/church-and-the-child-with-invisible-disabilities (from the Orthodox Church in America’s Resource Handbook for Lay Ministries) She speaks as a mother of a number of children with invisible disabilities. When persons with blindness, or in wheelchairs, or with Downs Syndrome features come to our Church, its easy to identify them as people to help. But its a little harder to see them as people who can help. And its much harder to see, as Matushka Wendy writes, children with invisible disabilities, who look like everybody else, as image-bearers of Christ who just need extra patience. The article and the website are a good place to start educating one’s self toward this goal. A home for children and youth with disabilities in Veternik, in Novi Sad, will benefit from the program through the construction of two greenhouses for vegetable production. The greenhouses will enhance the nutritional offerings of the facility and will provide occupational therapy for at least 100 residents of this institution. ALSO here is the web address for “The Situation of Children in Institutions of Social Care in Serbia” in this traditionally Orthodox Christian country, written by the Yugosalav Child Rights Centre, Belgrade, May 2001. It is not a Church document: http://www.cpd.org.yu/dokumenti/thesituation.pdf This would be less than two years after NATO bombed Serbia. Each institution receives an architectural assessment. The document would seem to aim at objectively, perhaps even “scientifically,” presenting the facts, as much as that is possible. I have, admittedly, only partially skimmed the document, but I found no mention of the Church. Certainly the situation at these homes was dire, given the devastation of Serbia, but the authors simply wished to catalog the situation and the needs. And though there has been some secularization, Serbia is a traditionally Orthodox country, and therefore I bring forward this data. Lord Jesus Christ, have mercy on us and on this world. from the disabilities discussion forum– from which one can search for stories containing specific words. There were no stories containing the word “Orthodox.” But nevertheless there are stories of interest for us. There were lots of stories with the words “church, worship, prayer, Jesus, and God.” There was also a story which is very enlightening in regard to Church accessibility entitled Finding a new church. I wouldn’t vouch for the Orthodoxy of these stories or that all or even most of them are necessarily edifying, but even still, one can get a sense of the various “places of the heart” where people with disabilities can be writing from. Enjoy, with prayer and discernment. This is a call to coordination of our efforts toward people in need, including persons with disability. Perhaps here in America we could begin this effort at coordination among ourselves, that is, the various Orthodox jurisdictions, and then begin to work together with the Oriental Churches. But who will initiate this; who can make this happen? Saint Paul’s is beginning a new class for children who are unable to participate in the regular Sunday School classes, due to autism or some other disability. Children who learn differently, and children with unique sensory abilities deserve religious education too! This class will present concepts to them on their terms so that they can get the most out of it – their way. . . .
is to help each of our students with learning disabilities realize their full potential and eventually matriculate into a full time mainstreamed educational environment. Tuition at the school is listed at $4850 per school year, though the actual costs run about $9900 a year. Donations and funds raised by the Parent Volunteer Group make up the difference. Its inspiring to see Orthodox Christian communities work together toward the socialization of their children, including those with learning disabilities.